We honestly never realized how amazing honey is for our body and health until we started doing research. Honey contains many properties that help our body heal by fighting bacteria and infection, as well as attract moisture and create glow. These 15 beauty hacks will not only save you money, but they will make your life easier and much more enjoyable. 1. Acne Treatment: Thoroughly wash your face, then dip a cotton swab into the honey and apply it to the necessary areas. Leave it on for 20-30 minutes and then wash off with warm water. 2. Face Wash: Rub honey all over your face and leave it on for a minute. Wash it off with lukewarm water, pat dry with a towel, annnd ta-da! You should notice the softness. Do this twice a day (morning and night), for the best results. 3. Lip Balm: Using honey to make your own lip balm is a much more effective cure to that issue than to buy it. Honey itself is a healer, and there aren’t any artificial ingredients to cover its effectiveness. 4. Hair Mask: Mix ½ cup of honey with ½ cup of coconut oil. Apply the mask to damp hair and leave it on for 10-15 minutes. Once rinsed, your hair should be extremely soft and moisturized! 5. Hair Removal: Mix together 1 tbsp of honey, 1 tsp of sugar, a few drops of lemon, and pop it in the microwave for a few minutes until the mixture becomes a paste. The honey will leave your skin soft. It’s normal if your skin is red from irritation, just moisturize…even better with honey. 6 Fade Scars: Mix 1 tsp of honey and 1 tsp of coconut oil together and rub in a circular motion on the scar for 2 minutes. Honey will help the skin tissue regenerate and lighten the skin, while coconut oil will moisturize the area. The circular motion will increase circulation, allowing for cells to reactivate. 7. Highlight Your Hair: Instead of using lemons (which dry out your hair), just mix 3 tbsp of honey with 2 tbsp of water and add to damp hair. Leave it in for an hour, then rinse away. For best results, do this twice a week until you are satisfied. 8. Treat Your Sunburns: Take at least one tsp of honey and very gently rub it on the delicate skin. Honey will help the burn heal while decreasing the chances of peeling. So you get to keep your tan AND you get super soft skin. Mix honey with some aloe vera to help speed up the process. 9. Shampoo Support: Add in honey when you shampoo your hair, and wash it regularly. It will leave your hair extremely moisturized, that easily. Honey also strengthens hair follicles, which will encourage healthy growth. 10. Moisturizer: Mix a tablespoon of honey with a tablespoon of olive oil, and add in a squeeze of lemon juice. Mix the ingredients together and apply to dry skin. Repeat this at least once a day for shiny, soft, AND healthier skin. 11. Strengthen your Nails: In a medium sized bowl, mix 4 tbsp of warmed olive oil, 2 tbsp of honey, and 1 whisked egg. Soak your nails into the mixture for 15 minutes and wash off with only water. Bonus: this will make your hands softer too. For amazing results, do this 3 times a week for 2-3 weeks and you should see beautiful, strong nails. 12. 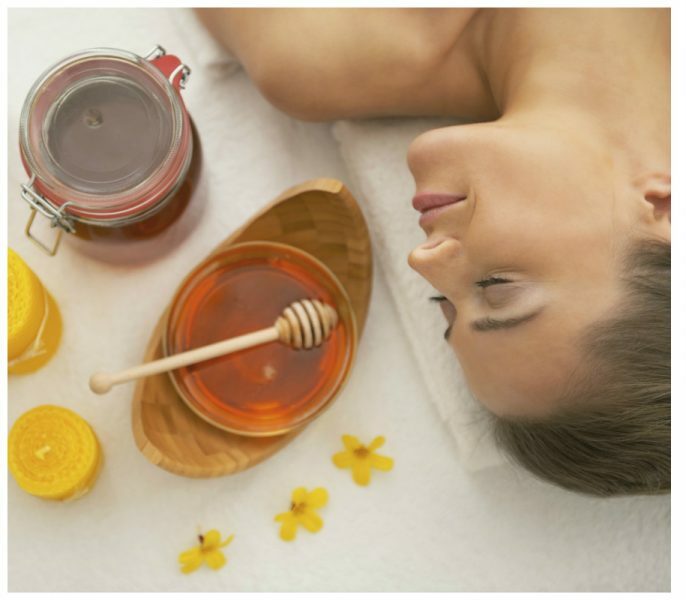 Anti-aging Treatment: Rub honey on the areas where you see wrinkles are coming in (or already are), every night for a few minutes and then wash off. You can also include honey in your daily diet simply in small portions; it will still have an effect on long-term results as the ingredient will help keep your body young and healthy due to its rejuvenating properties. 13. Razor-bump Treatment: Spread some raw honey immediately after shaving and rinse it off after 10 minutes. This will work wonders and take away the ugly irritation. 14. Get Rid of Those Dark Circles: Apply a teaspoon of honey onto the areas for 20 minutes and then rinse off. Do this twice a week until you are satisfied with the results (this will depend on how severe the darkness is). 'Humble Beginning', That's how Lisa Has Announced Her Pregnancy!